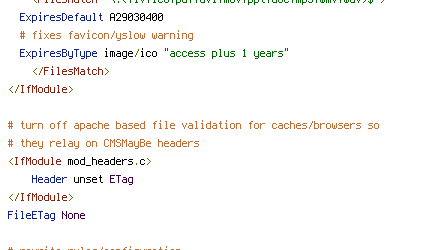 ExpiresByType image/ico "access plus 1 years"
# the directory that contains index.php and this htaccess file. # Files starting with a . are just not found, not forbidden. # the filemgr plugin should be able to read/write all files.